Jamal Crawford steps into the middle of a debate that can’t be settled. On the one side is a small group of middle-aged hoopsters, guys like former Garfield High standout Lovell Brown. They’re trying to explain how crazy and competitive the boys high-school basketball games were between the local teams in the 1990s. But a growing number of young ballers just aren’t buying it. Especially Bulldogs senior star Jaylen Nowell. 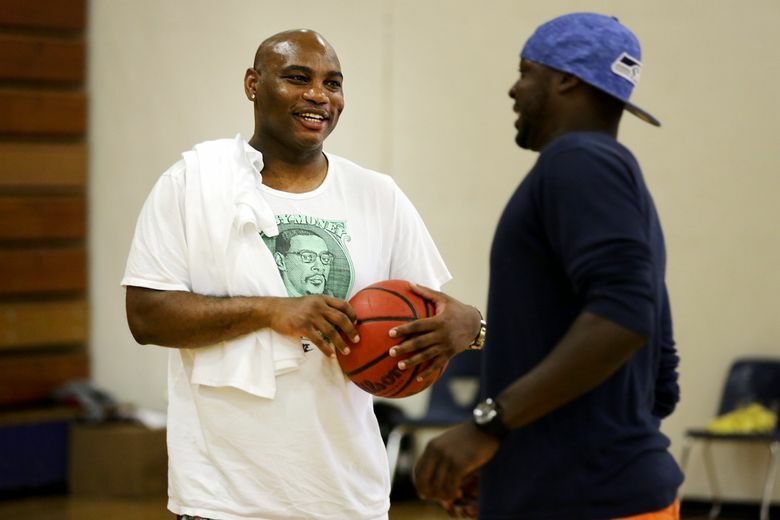 That’s when Brown recruits Crawford, Seattle’s greatest ambassador of basketball, to step in and tell stories about the battles for neighborhood bragging rights among his Rainier Beach Vikings, Garfield and Franklin. “I’ve been in some pretty big basketball games in my day — and I’m for real when I say this — I’ve never played in a game that matches the intensity of those games I had with Garfield and Franklin,” said Crawford, a 17-year NBA veteran currently with the Clippers. “I know you guys think it’s better now and you should. But trust me when I say this, we had people gathering outside at noon for a 7 o’clock game. Crawford is in his element. He loves these discussions nearly as much as he loves basketball, the game that’s given him fame, fortune and a platform to fulfill his life’s calling — giving to those around him. He applauds teammate Chris Paul, who stood on stage with LeBron James, Dwyane Wade and Carmelo Anthony at the ESPYs this summer and talked about race, police violence and community involvement. 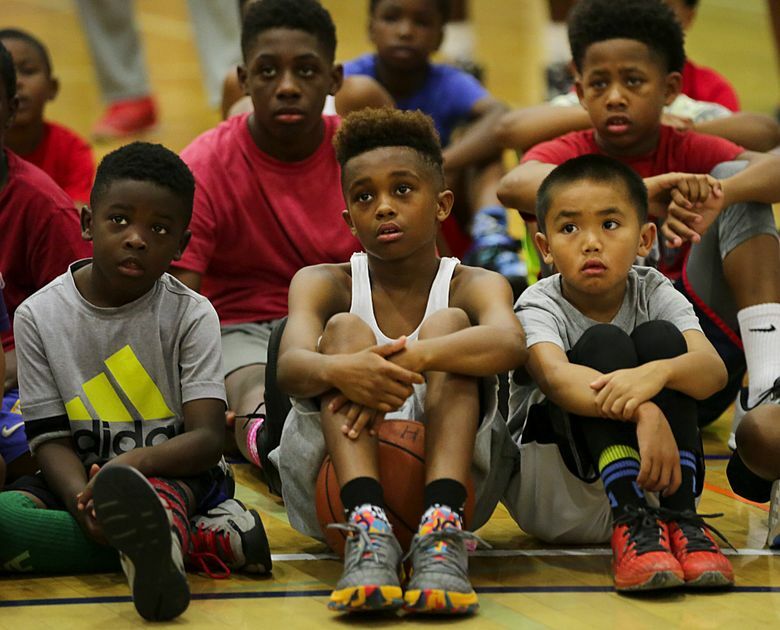 On a late summer day, Crawford organized a free weeklong basketball camp for 125 boys ages 5-13 at Rainier Beach. He’s done this every year since 2005. The requirement for admission: write an essay on the importance of giving back to the community. “A couple of (essays) really stuck with me,” said Crawford, who received over 300 entries. “You hear stories like it’s important to give back because it makes me feel good. Or it’s important to give back because it’s a blessing to be able to bless others. 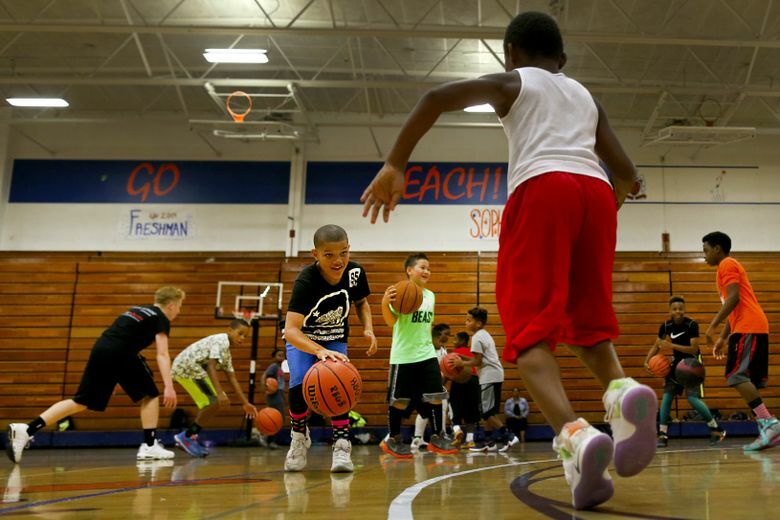 Crawford donated $100,000 for renovations to the Rainier Beach gym, where his retired jersey is framed on the wall and the floor is named after him. 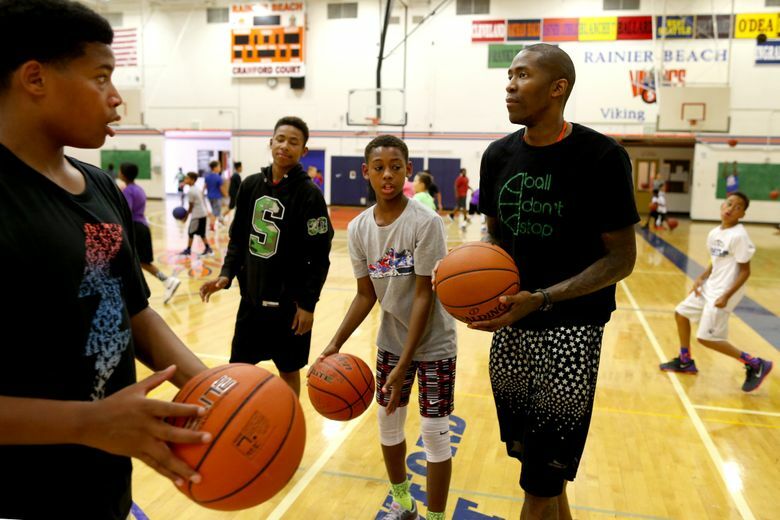 Through his Jamal Crawford Foundation, he’s funded projects for heart defibrillators and athletic trainers at Seattle Public Schools. 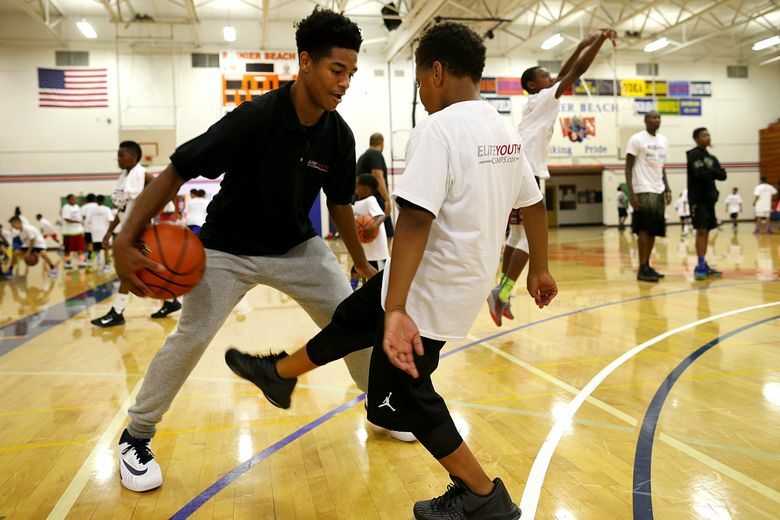 He’s sponsored free summer basketball camps and organized back-to-school rallies where he gives away backpacks. 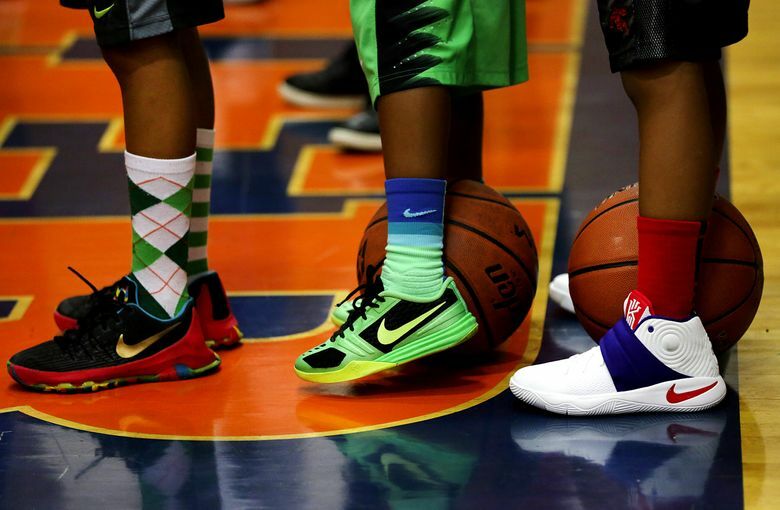 And Crawford runs the Seattle Pro Am, a summer basketball league at Seattle Pacific University that attracts NBA players to a city that lost its NBA team in 2008. Crawford, 36, is in the twilight of an NBA career that is a testament to his ability to score points and adapt. He’s played for six teams and 17 coaches since being taken No. 8 overall in the 2000 draft. Along the way, the spindly 6-foot-5 shooting guard with the deft dribbling skills and the nickname “J. Crossover” has etched his name in the record books. He’s the only person to win three Sixth Man of the Year awards. He’s seventh on the NBA career list with 1,933 three-pointers, and he’s one of four players to score at least 50 points in a game for three different teams. “It took me 14 years before I found a team where I truly fit in,” said Crawford, who begins his fifth season with the Los Angeles Clippers. It’s the longest stint he’s had with any team. This summer, he re-signed with the Clippers on a three-year, $42 million deal that’ll push his career earnings to $132 million. Crawford wants to play another 4-5 years, and when he’s done the Seattle native who lives a short distance from his old high school plans to push his philanthropic efforts into overdrive. Admittedly, Crawford grew up in rough environments in Seattle and Los Angeles. He knew gang members but never joined a gang or ran afoul of the law. He was a poor student and didn’t take academics seriously until his senior year at Rainier Beach and a year at a prep school when he worked hard to earn a passing score on the SAT to gain entrance into Michigan. That’s what he said on that late summer day at Rainier Beach High. 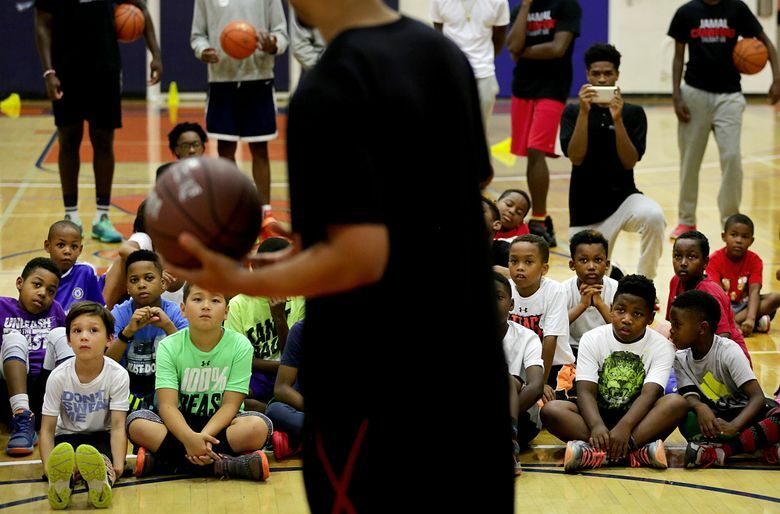 Standing next to his good friend Brandon Roy, they challenged the kids to push and inspire each other just as Roy has pushed and inspired Crawford. “In my eyes, Jamal Crawford is a real-life super hero,” Roy tells the kids. “And it’s not like he has super powers or anything like that. He changes lives because he cares and he wants to make his community a better place.